Most fiduciaries and employers want to do the right thing but, as the DOL notes, inadvertent mistakes can create "significant problems." The Department of Labor website is overflowing with cases of regulators taking action against employers accused of mishandling employee benefit plans. Among the most common cases: errors in administering 401(k) plans. Although Labor Department officials and experts in the ERISA field say the majority of cases are errors in reporting and do not result in civil lawsuits, the numbers of benefit plan cases investigated (of all kinds) are still impressive: the DOL closed 3,677 investigations in 2013, with nearly 73 percent of those resulting in monetary fines or other corrective action. Lawsuits were filed in 111 of those cases. The department says it is working to educate employers about how to avoid errors, including conducting seminars and providing information on the DOL website. 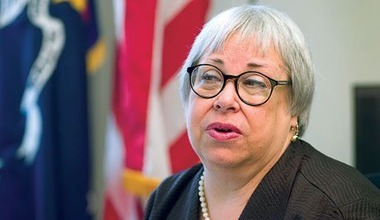 In a March 21 blog post, Phyllis Borzi, assistant secretary of Labor for employee benefits security, noted that employers can find it challenging to administer benefits such as 401(K) plans. The problems can lead to substantial monetary fines and settlements. In January, for example, the DOL announced that a Chicago-area manufacturing firm, Hico Flex Brass, would pay $79,000 to settle a case in which the company failed to properly distribute 401(k) earnings to employees. A Jan. 10 complaint by the DOL asked the courts to rule that a machine shop in Santa Maria, Calif., should restore $58,000 in 401(k) contributions that the company improperly mixed with other business accounts. For large companies, the costs are even higher. A lawsuit brought by employees of International Paper resulted in a $30 million settlement in January, although that case was litigated by a law firm and not the DOL. Even when the dollar figures aren’t as high, cases involving 401(k) administrative errors can hit small and medium-sized employers hard. Lawyers who work on employee benefits cases say many employers don’t pay close enough attention to the complexities of administering retirement plans. So what are the areas the DOL tends to investigate? The experts interviewed for this story agreed that there are several areas where problems may trigger a DOL investigation of employers. One is failing to make a timely remittance to the 401(k) plan. Under federal rules, funds from an employee’s paycheck have to be submitted to their retirement account no more than 15 days after the money is withheld from the paycheck. A second common issue is making sure employees get their statements in a timely manner. Proper disclosure of fees owed to the plan’s fiduciaries (the company in charge of administering the funds for the plan) is another area that DOL looks at closely. And some companies have been found noncompliant for failing to maintain fidelity bonds for their plans, a safeguard against misuse of funds. “I do see companies who are loose about when they make deposits; they just treat it like the rest of the cash flow in the company,” said Rosenberg. Rosenberg and Nichols said there are several steps employers can take to avoid trouble with DOL regulators. They both said companies need to take their fiduciary responsibilities seriously, and not expect that a retirement plan will run itself. An important first step is keeping good records. “If you have a committee that is responsible for the administration of the plan or its investments, make sure that they meet regularly and that you keep a good record of committee actions, what’s discussed, and how decisions are made,” Nichols said. Rosenberg said companies need to be realistic about whether they have the time, resources, and knowledge to administer and monitor retirement plans themselves. Failing to watch, of course, could mean triggering a DOL action.